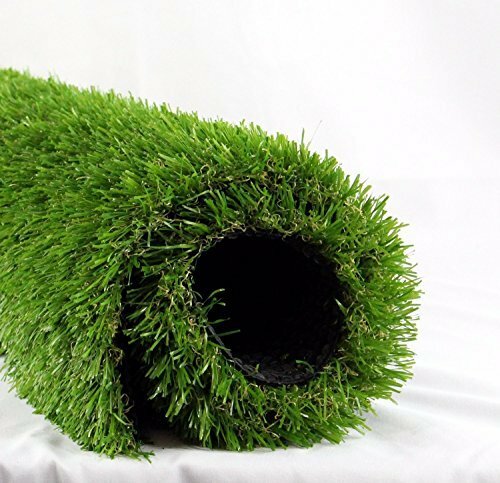 ENVIRONMENTALLY FRIENDLY: It is eco-friendly and non-toxic,Its 4 tone pattern is soft, lush and the thatch looks just like natural grass,providing you with year round green and turf enjoyment, Perfect for all indoor and outdoor projects. SAVE MONEY BY GOING GREEN: No mowing, no watering, no spraying,just years of enjoyment with family, friends and pets?And they would not have to worry about the grass thinning out or dying off during hot or cold weather. SIMPLE INSTALLATION: Laying out our grass is very simple-Simply mark and dig out an area, lay out the base, roll out the turf, and seal the matter,Infilling is your choice, though we recommend it,Blade height is close to 1 3/8" and perfect for that well-manicured look. BEST CHOICE IN ARTIFICIAL GRASS: Top quality and Low price - 14 years warranty with 30 days return policy. If you have any questions about this product by ALTRUISTIC, contact us by completing and submitting the form below. If you are looking for a specif part number, please include it with your message.